The great amount of hydrophobic amino acid contained in vital wheat gluten, will form a layer of moist gluten structure of nets after it contact with aqua. The low solubleness of gluten effects the properties of emulsifying and foaming. The viscoelastic extension of gluten protein makes it a good source of film forming. However, its hygroscopicity and high oxygen permeability restrain the the applications. Scientists use MTG to modify the vital wheat gluten and found that the coagulability, emulsifiability, foamability and foaming stability of modified gluten are improved by 96.7%、43.5%、32.0% and 75.9%. Vital wheat gluten could be degraded to peptides such as anti-oxide peptides, ACE-I, or immunomdodulating peptides. The inoxidizability of anti-oxide peptides is higher than protein and amino. ACE-I could lower the content of plasma angiotension and therefore could help to lower blood pressure. 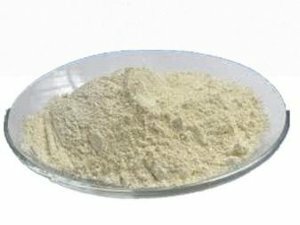 Glutamine peptidess (Gln) extracted from vital wheat gluten by enzymatic hydrolysis technique are relatively more stable than traditional Gln and could replace glutamine. It could also accelerate cell multiplication and enhance the immune of intestinal function. In addition, it is the premise of glutathione synthesis and the main source of Antioxidant scavenging free radicals in bodies. Inferring the structural properties of wheat protein is a new and ongoing research in the study of the additive. This research is limited to extraction and finding amino orders, in stead of integrate research on the protein structure as a whole. Fermentation technique is often used for degradation of alcohol-soluble protein in vital wheat gluten. Carlo Giuseppe Rizzello found ferment treated bread dough has higher digestion rate and nutrition. S.M’hir discovered enterococcus and fungal proteinase could degrade 98% protein of vital wheat gluten while in long-time fermentation. This suggests that this fermentation technique could be used in non-glutenin food processing. For more information and supply of vital wheat gluten, please follow OKCHEM.COM!